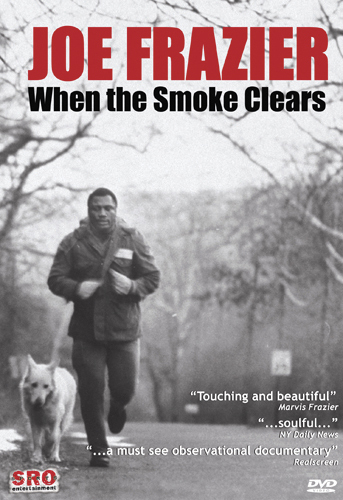 Smokin’ Joe Frazier is considered one of the greatest heavyweights of all time. 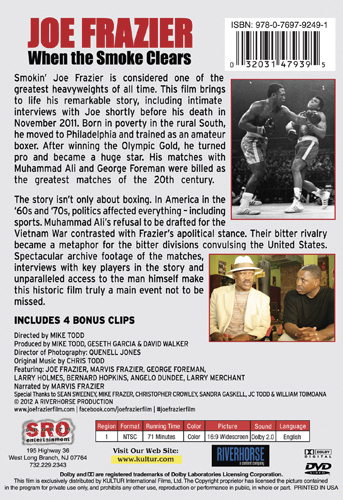 This film brings to life his remarkable story, including intimate interviews with Joe shortly before his death in November 2011. Born in poverty in the rural South, he moved to Philadelphia and trained as an amateur boxer. After winning the Olympic Gold, he turned pro and became a huge star. His matches with Muhammad Ali and George Foreman were billed as the greatest matches of the 20th century. The story isn’t only about boxing. In America in the ‘60s and ‘70s, politics affected everything – including sports. Muhammad Ali’s refusal to be drafted for the Vietnam War contrasted with Frazier’s apolitical stance. Their bitter rivalry became a metaphor for the bitter divisions convulsing the United States. Spectacular archive footage of the matches, interviews with key players in the story and unparalleled access to the man himself make this historic film truly a main event not to be missed.